If You’re Going To Jump, Do It Properly! At 1.30am last Saturday morning in Manchester, a twenty two year old man, had been out on a Stag Do all day. It was a very hot day and he decided to jump from 6 metres into the River Medlock and broke his ankle as the river was only three inches high. First of all, we are glad to hear he only broke his ankle and wish him the best for his recovery, secondly we would like to offer him and his stag group 10% off Canyoning, once his ankle gets better that is! Not only will he be taught which parts of the river to jump into, he will also have a fantastic day of adrenalin and banter making it an amazing Stag Do memory. 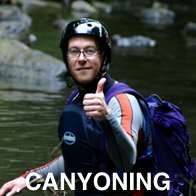 Go to our Canyoning page for details, we offer this fantastic stag activity in North and South Wales and also up in Scotland. On a hot sunny day and after a belly full of ale the last place you should be is jumping into a river, just keeping it real people. A hen party from Birmingham played an amazing prank on their hen (Sarah Molland) whilst on a hen night in Cardiff. Shedding out £500, they paid to have a massive 24 foot by 12 foot billboard put up stating “Forgetting Sarah Molland”, here comes the bride…. – which also includes a picture of her with the text “coming to Cardiff, 11th July”. This brilliant bit of pranking was based on the Russell Brand film, Forgetting Sarah Marshall. Chief Bridesmaid, Rachel Coombs spent months planning this exceptional prank, swearing all the girls into secrecy and getting a prime position for this huge poster, right in the middle of Cardiff city centre, making no doubt that Sarah would spot herself whilst on a pub-crawl. Cardiff is a fantastic destination to hold your hen night and the Welsh capital is where Sarah studied Criminology as a student making it the perfect destination for her celebration. Sarah is due to marry Paul Jones next month and we would like to wish her the best of luck for the future. To see this amazing prank and the full story visit the the Wales Online Website. It’s all very well being asked to be the Best Man however, this role comes with some responsibility and there is no bigger responsibility than arranging the Stag Do. That’s where the DesignaVenture Stag Do Blog steps in, giving you more advice, tips, guidance and stag do ideas the you can shake a stick at. You have more top 10’s then a Radio 1 DJ including Top 10 Stag Do Pranks, Top 10 Stag Do Games, Top 10 Stag Accessories… you get the picture. You can also find a 101 guide to booking and going on a Stag Do, Stag Do Ideas for the older group and the incredibly popular post on “Should the Groom Pay for His Own Stag Do?” Take our poll, currently stag groups are saying no he shouldn’t. And if that’s not enough how about Fancy Dress Ideas, Stag Do Challenges, Ideas for the Non-Drinker, the list goes on. All this Stag Do Advice is free of charge and just a click away. So, with out further delay get yourself over to our Stag Do Blog and become the BEST, Best Man, known to man (try and say that after a couple). DesignaVenture, we are the Best Man’s Best Man. According to the Belfast Telegraph, the former Coronation Street star is planning two hen parties but there’s no rush as she is not getting married to Mark Wright until next year. The big hen party will be abroad however she doesn’t mention where, and then she is planning on going on a spa weekend. I know quite a few hen parties (as you can imagine) and this is pretty much the norm. Where there’s a raucous weekend for mainly best friends and friends of friends and then a more sedate chilled affair for the mothers, aunties and bridesmaids. However I am not tarring all hen parties with one brush, some brides will have loads of celebrations and others will just have just the one. It’s that time of year when every celebrity and his dog are seen celebrating their hen or stag do in Ibiza and Danny Jones from McBusted is no exception. 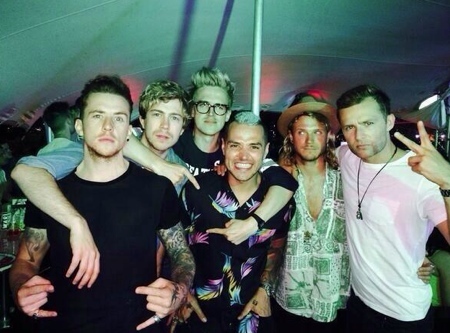 According to an article on the MailOnline, Danny Jones has been seen in Ibiza soaking up the rays and drinking with his McBusted boys generally having a fantastic time. 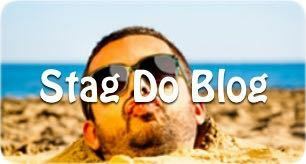 The stag group has been seen in the VIP area of the Hed Kandi Beach Pool party taking selfies with fans, walking around with their tops off and laughing and joking with each other, how a stag do should be celebrated. The boys were seen at Ocean Beach, San Antonio which is a huge hit with other celebrities over the years such as Abbey Clancy, Professor Green, Sheridan Smith, Tinie Tempah, Jack Whitehall, the list goes on. Danny Jones is due to marry log-term girlfriend Georgia Horsley later in this year, we at DesignaVenture want to wish them all the luck in the world for the future. It’s July 2014 and the Stag Do season is rocking like a rowing boat in a force 9 gale (one for the yachting enthusiasts), this is a great time to reflect and compare on stag groups booking last minute and groups booking their Stag Do early. Stag parties booking last minute are fine, we are finding availability, however it’s harder to find their first choice of activities, hotels and even nightlife as a lot of the beds and activity sessions are booked up. We are also finding stag groups are smaller as not everyone is available last minute. So in hindsight, stag groups who book early will be more organised, all their first choice of activities and hotel are available and more people will attend as you are giving them a lot more notice. Here’s your chance, if you are looking for a Stag Do for 2015 to ‘grab the bull STAG by the horns’ and get your weekend booked now. 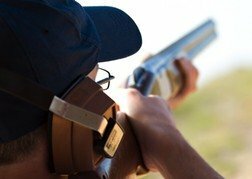 If you are looking at a UK stag destination or an abroad Stag Do without flights, then booking early couldn’t be easier, all you have to do is stick down a £60 deposit, advise us of a rough idea of group size and then share the booking online with your mates and get them to commit by paying a £30 per person deposit online. Booking this early, WE don’t need to know your definite numbers and YOU don’t need to get your fingers dirty by having to collect all the cash in off the boys, they can pay direct, online or over the telephone making it even easier then a Peppa Pig Puzzle. So use hindsight, book early and get your 2015 Stag Do licked. Our website has more Stag Do Ideas then an Ice Cream Man has sprinkles, so get yourself over to the stag section of the DesignaVenture website and get well organised. When you’re a celebrity one hen party just isn’t enough, mind you most hens and stags these days like to celebrate in many different ways in the run up to their wedding and Frankie from the Sundays I mean Saturdays is no different. Earlier this year she was seen celebrating her hen weekend in Ibiza. According to the Mail online, she was on her second hen party last weekend joined by 3 members of the group as they celebrated her second hen party in style at the Henley Regatta. The Henley Regatta lasts for 5 days with the last day (Saturday) being the finalists day where all final events for each class takes place, in an atmosphere so electric you could light your fag on it. The hen party looked like as great success as they posted loads of pictures on their Instagram accounts, one very humorous one shows Vanessa White cuddling a man who is slumped in a chair asleep with the comments “Don’t fall asleep next to a hen party…..” if you want to view this and many other pics head over to Vanessa’s Instagram’s account. Frankie is due to marry Wayne Bridge (football player) later this summer, we would like to wish them all the luck in the world. Wayne celebrated his stag do to Las Vegas earlier this year. Imagine going on a Stag Do to Benidorm without the stag! That nearly happened to poor old Rob Outram, who’s passport hadn’t arrived back from the passport office and feared the worse however, in stepped the Manchester Evening News. The Manchester Evening News not only featured the story on their website which got loads of coverage but according to this article they contacted officials who then summoned Rob to the Liverpool passport office to collect his passport. He feared he would miss his Stag Do and Honeymoon but now he is going to be able to attend them both. Before he was summoned to the Liverpool passport office he showed good spirits by saying that the group has to go with to without him, as they have saved up for this Stag Weekend to Benidorm since March. He is due to marry Becky Bieganski next month and then honeymoon in Barbados. We want to wish the happy couple all the happiness in the world. I know the summer is still here, however the Stag Do train still rolls on and organised best men are looking for stag weekends for the end of this year and onwards. DesignaVenture has an early present to such well organised Stag Do organisers and that is; some really juicy Stag Do offers. Our most popular offer last year was the Bournemouth Offer Weekend, this includes 2 nights in a city centre 3 star hotel with breakfast, Quad Biking, Clay Pigeon Shooting, Human Table Football, Blindfold Driving and nightclub entry all for £135 per person*. The most popular month for this amazing stag package is February, in order to take advantage of this incredible Stag Do Offer, we recommend you book early. If you only have one night and don’t want to travel too far, then this Reading Stag Do is possibly your best solution. For £95 per person* you get 1 night in a city centre 4 Star Hotel with breakfast, Hovercraft Racing, Paintball, Clay Pigeon Shooting and entry into Reading’s biggest nightclubs. All for under £100, this certainly is an incredible Stag Do deal. This Stag Weekend is truly epic and includes 2 nights in a city centre 3 – 4 Star hotel with breakfast, Paintball with 100 rounds, indoor karting and entry into Oceana nightclub all for under £150 per person, £149* to be precise. For £59 per person* you get 2 nights in a 3 Star hotel with breakfast, airport transfers, bar crawl, lap dancing club entry and nightclub entry, just add flights. We can add the flights on for you or you can book your own and just pay £59 per person, an eye popping, stupendous offer! This cleverly apt named stag package is such a Bargain, the pound shop ‘are well gel’. 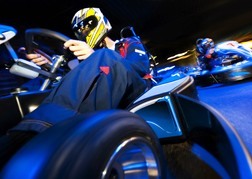 1 night in a 4 Star city centre hotel with breakfast, Quads Biking, Paintball with 100 rounds, clay pigeon shooting and nightclub entry for just £110 per person*. *Prices are correct at time of this post being published, and are date dependant (most are based on arrivals between November and the end of February). According to an article in the Bath Chronicle, a hen party nearly turned sour when Bride-to-be lost her camera whilst on her hen night in Bath, but what makes this story incredible is that after the camera was found Avon and Somerset police put on their facebook page a picture from the camera asking if this camera belongs to anyone. After the appeal went viral with 600 shares reaching an incredible 70,000 people within an hour the camera was reunited with it’s rightful owner. Bride to be Sarah who lives in London was visiting her mate in Bath for her hen night celebration and now has the memory to prove it! Just goes to show you the power of social media, this is just the beginning people!